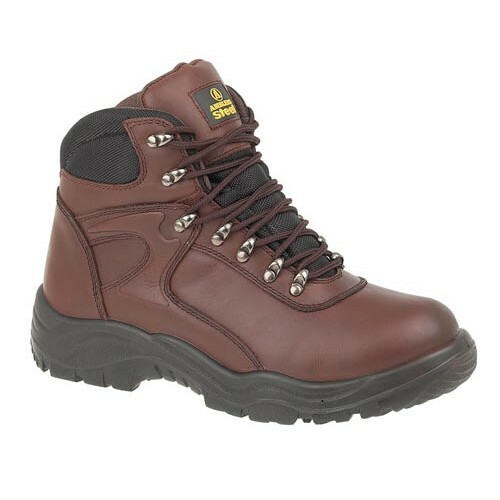 FS31 is a fully waterproof brown safety boot with steel midsole and toe cap protection. It has a water-resistant leather upper as well as a fully waterproof breathable mesh lining. Reduces foot fatigue through the shock absorbing heel and removable EVA footbed. Secure fitting is offered by the seven hardwearing metal D-Ring lace-holds and padded bellows tongue prevents debris entering boot. Includes a handy pull-on fabric loop at heel.